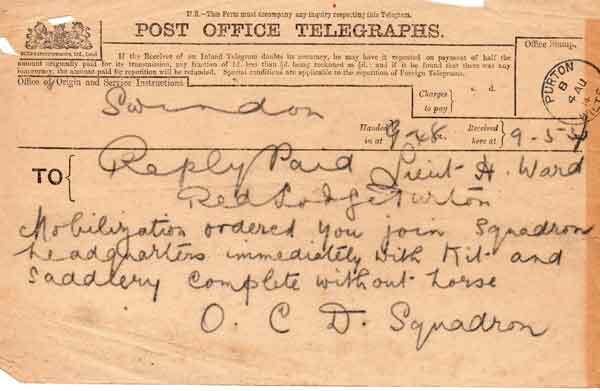 Harold Ward from Braydon near Purton joined the Royal Wiltshire Yeomanry in 1911. 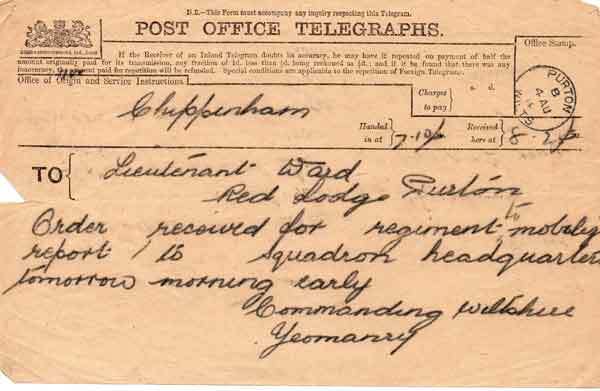 On the day that war was declared, he was ordered by telegram sent from Chippenham at 07:19 to report to Squadron headquarters ‘tomorrow morning early’. 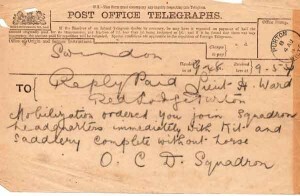 A second telegram sent from Swindon at 09:48 added ‘You join Squadron immediately with kit and saddlery complete without horse’. 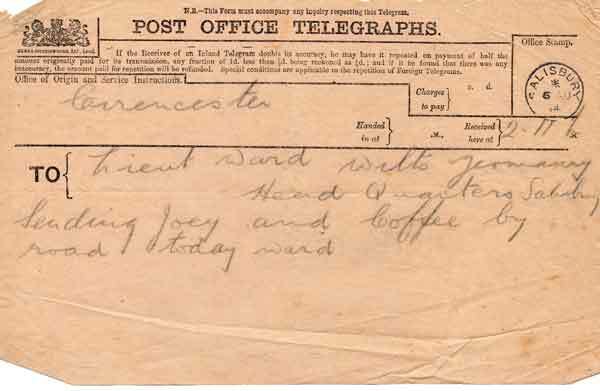 As a commissioned officer, Harold would be allowed to take two horses with him, and the next day he received a further telegram telling him that his horses Joey and Coffee were on their way. Harold served in D Squadron, arriving in France in December 1915. Harold’s Medal Index Card shows that he performed well in the war, as he is honoured with the British War Medal, the Victory Medal and the 1914-15 Star medal. 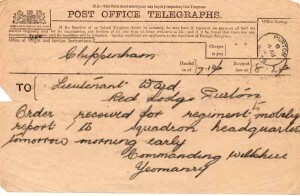 He applied for his medals in 1923, by which time he was living in Warminster. 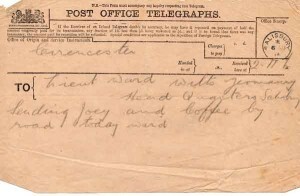 Story supplied by Purton Museum and Bob Lloyd.